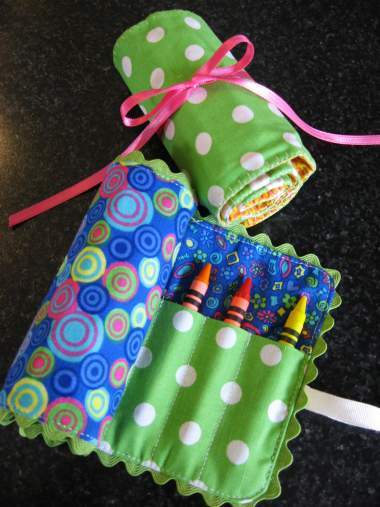 Check out the directions for these super cute crayon rolls- would be such cute gifts! Ok, so I have been blathering on about sewing, but never finished anything and then it kind of fizzled out for a week or two. tasted perfect. I rolled it out, but she did the rest and it was really good. 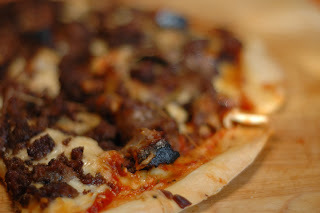 We called it the Carnivore when we were done with it because it had hamburger, italian sausage, and leftover grilled chicken on it, YUM! I had my first sewing lesson last week. It went OK, it is all a little confusing for me as spatial relations are tough for me sometimes, but I think I will get the hang of it. 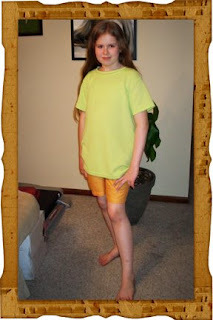 We cut out a practice pair of shorts for Katie, and my friend sewed them to make sure they would work. They did, so I came home and cut out two more pair. I have a few more to cut out before we sew. But it will be so nice to have play shorts for this summer that are a modest length. On Tuesday my friend is coming to look at my two sewing machines to see if either of them will work well enough for me. If not, she has an extra machine that I can get for a good price from her. 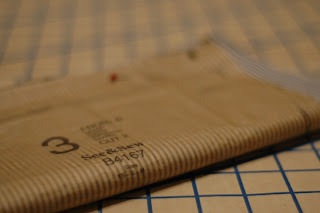 So excited to really sew something!! !